Growing up in Asia, I’m no stranger to plant based milk. I practically grew up on this stuff. And now as an adult, I enjoy an occasional nutritious smoothie bowl made with almond milk for breakfast. I’m stoked to be trying NEW Silk Almond Cashewmilk today. I knew I would love this, because I adore cashew and Silk milk in general. But I decided to put breakfast aside and make dessert instead with this Lightened Up Chocolate Panna Cotta. I use half eating milk chocolate and half semisweet chocolate chip in this recipe. You can use any type of chocolate you like, but it is best to use the one you enjoy eating the most and avoid using baking bar. Baking chocolate like baking bar will give an unpleasant texture and taste. I love chocolate and coconut together, so I use coconut oil to coat the ramekins. However, you won’t be able to taste the coconut in the final product. You can also use a different oil, preferably something that doesn’t have a strong flavor. 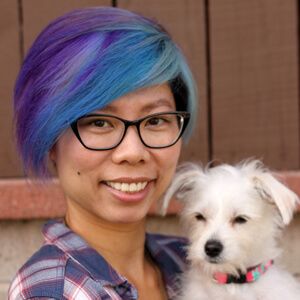 I tried two different Silk Almond Cashewmilk, which are both free of soy, dairy and gluten. I bought them at my local Walmart. 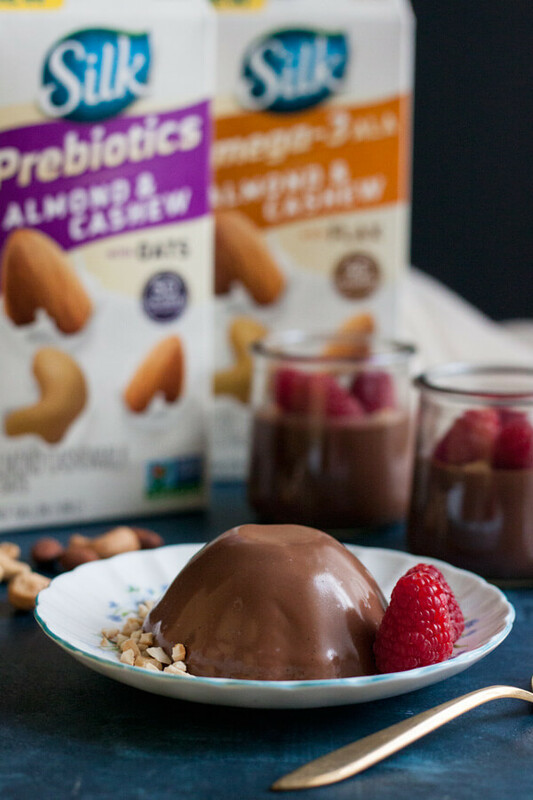 Silk Almond Cashewmilk Prebiotic with oats – this one has prebiotic fiber and 50% more calcium than dairy milk. You can taste the oat in this one. But I’ll be chugging this one as well once I finish off the other carton. 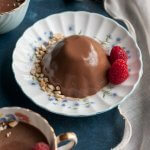 I think the one with flax works really well in this Lightened Up Chocolate Panna Cotta since the taste is more neutral. But you can always try them both and decide for yourself. 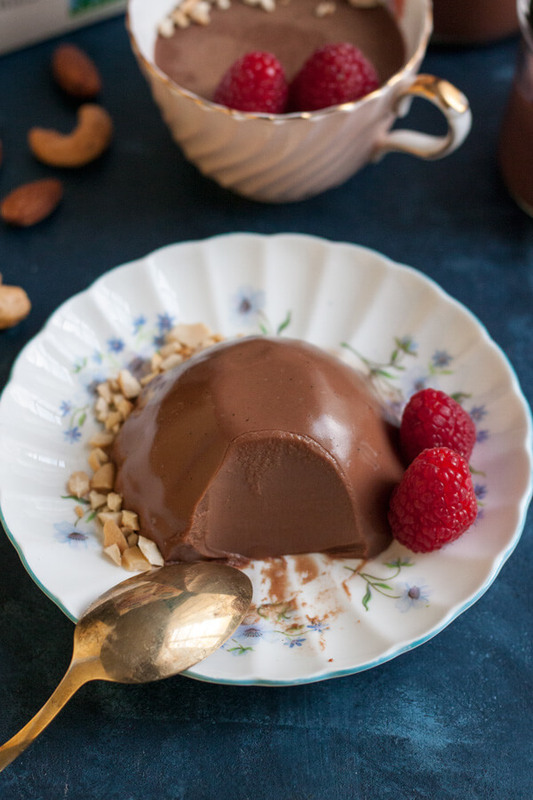 Lightened Up Chocolate Panna Cotta is a delicious and healthier version of a decadent dessert. This version of Panna Cotta will add a little sweetness to your day while still keep you on track with all of your New Year resolutions. 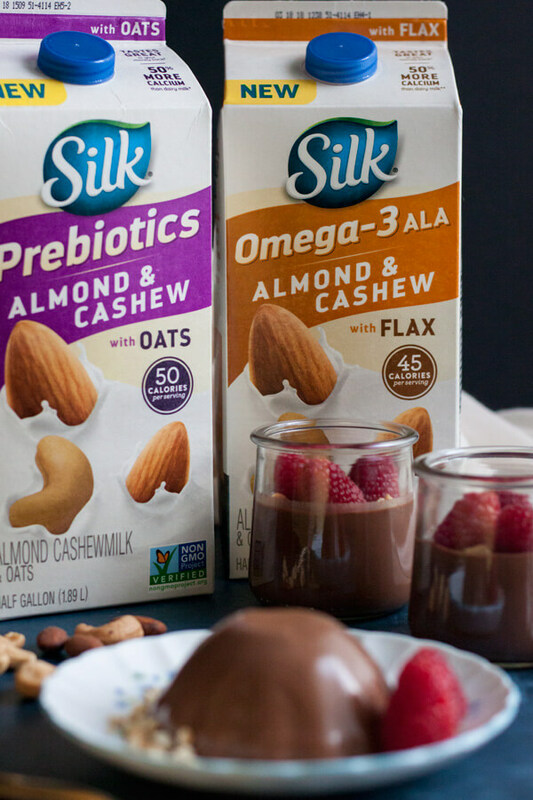 Measure 1/4 cup of Silk Almond Cashewmilk in 4-cup measuring cup and sprinkle the powder gelatin over the milk. Let bloom for 5 minutes. If you’re planning to un-mold the panda cotta, brush the ramekins with a little coconut oil just to coat and set aside. Add the remaining 1 1/4 cup of Silk Almond Cashewmilk to a small sauce pan along with the sugar, salt, and vanilla bean paste. Stir with a whisk and allow to simmer over medium heat. Turn off the heat and pour the hot milk into the bloomed gelatin mixture. Stir to dissolve the gelatin completely. Add the chocolate to the hot milk, stir until completely melted and smooth. Divide into four jars or ramekins and let rest in the fridge until set, about 3 hour or overnight. If you plan to un-mold the panna cotta, use 2 teaspoon of gelatin to be on the safe side. If you don’t plan to un-mold it, use 1 1/2 teaspoon. To use vanilla extract in place of vanilla bean paste, use the same amount, but whisk it in with the chocolate instead of adding it to the milk. To un-mold, fill a shallow bowl with hot water and set the ramekin in the water for 30 seconds. Make sure the water level is high enough to warm the height of the entire panna cotta. You may need to loosen the very edge with a butter knife to allow it to slide out easily. Place a plate over the ramekin and flip it over, give it a few gentle shake to encourage the panna cotta to come out. Garnish with fresh fruits and crushed nuts if desired. This really is a great healthier alternative. Plus I love Silk normally anyways, it wasn’t a great stretch for me to substitute at all. If this recipe has milk chocolate how is it dairy free? You’re right B, the recipe is dairy-milk free. I have corrected my mistake. 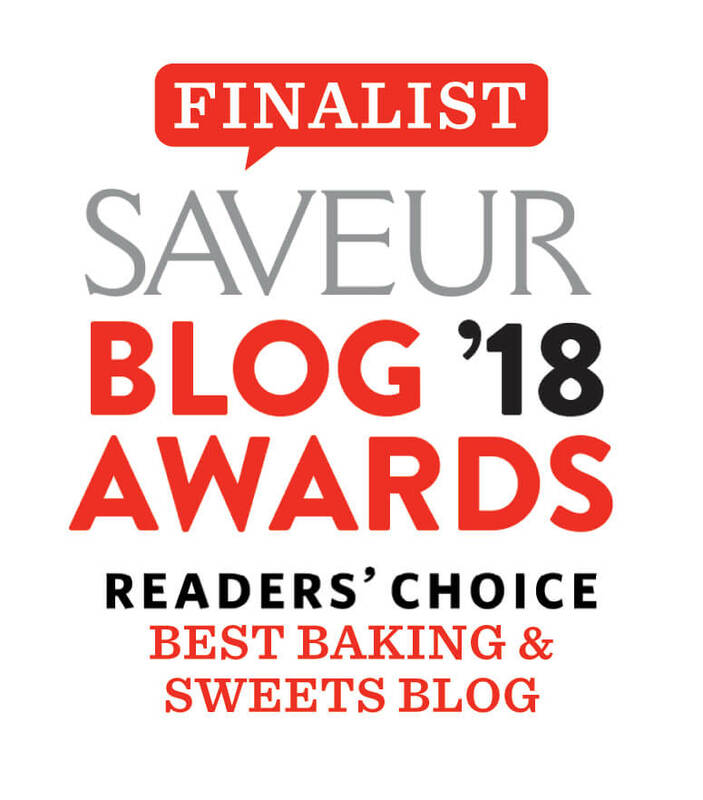 If you are looking for something completely dairy free, may I suggest using all semisweet or dark chocolate? 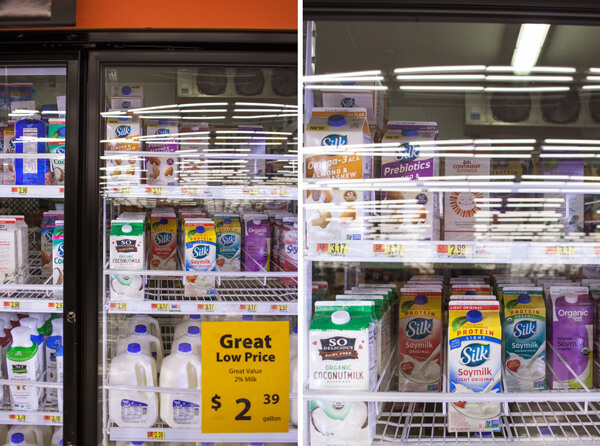 However, beware that there might be cross contamination and usually the label should tell you if the product may contain milk or processed in the a facility that processes milk as well. Oh man, this looks just awesome!! I thought it looked delicious and then I got to the photo with the spoonful taken out and it looked even better! 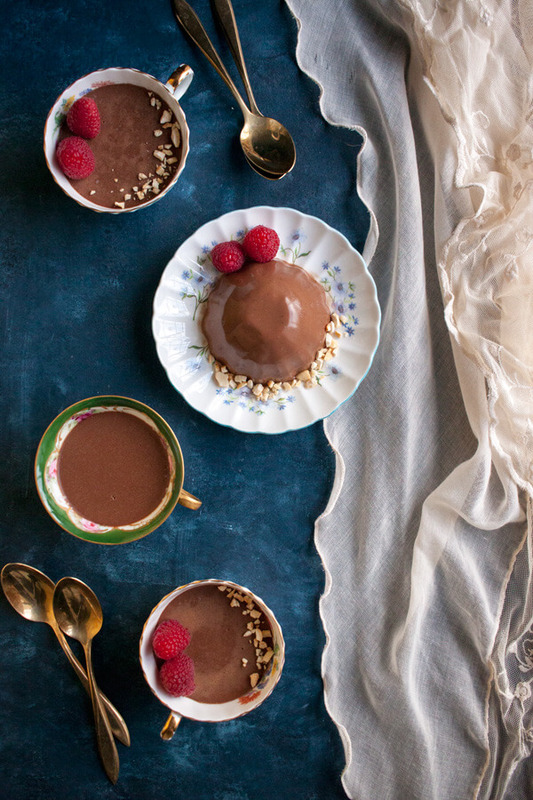 I’ve never tried a chocolate panna cotta but this looks amazing!! Those panna cottas turned out lovely. I have never made them but these look simple enough. I have to try this out! I love having a good dessert to try out! Thanks Kristina, hope you’ll like it! 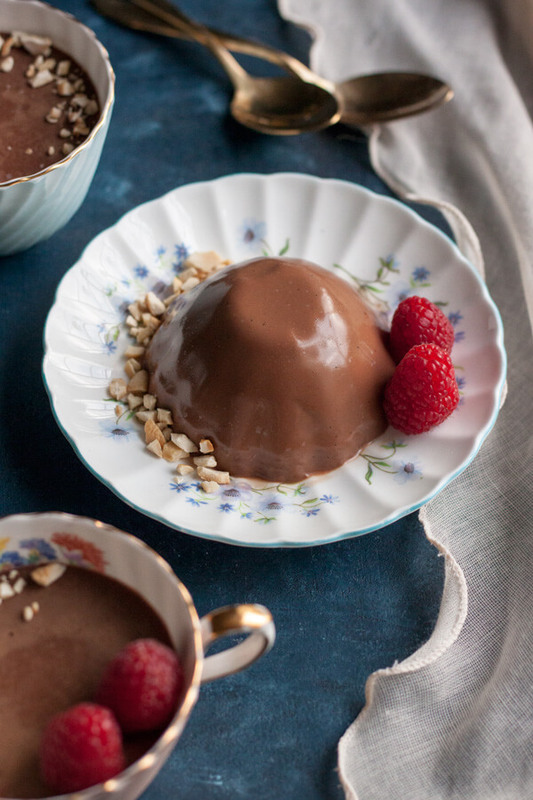 Chocolate Panna Cotta is one of my favorites and I feel a cheat day coming on lol—your photos are making me crave these. I think I am going to head to the store to grab a few things and make these today. I will let you know how they turn out. I hope as good as yours. What a great idea mixing semi-sweet and milk chocolates! These look delightful and your photos are just stunning!